Watch highlights of McGregor's and Khabib's careers ahead of UFC 229. It's officially fight night, and it's arguably the biggest fight night in UFC history, as Conor McGregor faces off against Khabib Nurmagomedov for the Lightweight championship in the UFC 229 co-main event. It's all set to go down at tonight, October 6, at T-Mobile Arena in Las Vegas, Nevada. The build for McGregor vs Khabib started back in April when the Irish superstar attacked a bus full of UFC fighters, including the Lightweight champ, at Barclays Center in Brooklyn. Since then, the bad blood between the two fighters and their respective camps has reached a boiling point which will culminate tonight in what figures to be a vicious dogfight. Both fighters bring something completely different to the table: Puncher vs Grappler. For McGregor, it's his devastating left hand and reach. For Khabib, it's his ability to maul opponents on the mat. Each man has relied on those strengths to get where they are today, but something's got to give. Tonight, McGregor will look to reclaim the 155-pound championship he was forced to relinquish months ago, while Khabib is in position to cement his legacy in the sport. You can catch the action on PPV for $64.99, the main card is scheduled to get underway at 10pm ET. Scroll down to check out the best knockouts and finishes of each fighter's career. 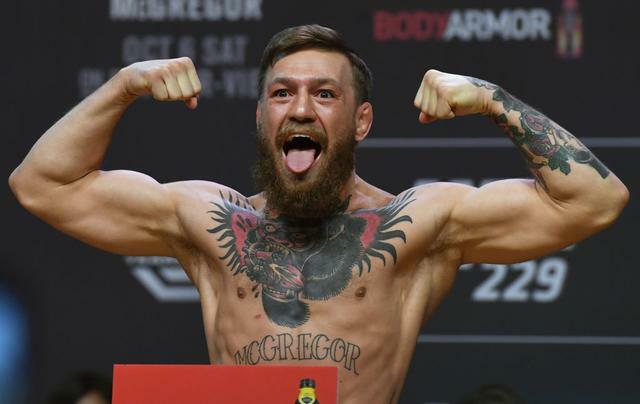 "The Notorious" Conor McGregor returns to the octagon tonight as a +140 underdog, but nobody would be shocked if he reclaims the belt he never lost. The 5'9 Southpaw has not fought in the UFC since defeating Eddie Alvarez by way of TKO for the Lightweight title at UFC 205 in November of 2016. Over the course of his career, 18 of McGregor's 21 victories have come via knockout and if he can land one of those lefts on "that glass jaw rat" (his words, not mine) we might witness #19 tonight. We've seen it plenty of times before, including his 13-second KO of former Featherweight champ, Jose Aldo. Naturally, Conor expects more of the same tonight: "I plan on knocking that man's nose straight into the nosebleeds. That's what's going to happen Saturday night ... I am ruthless here. I am coming to put a hole in this man's skull. Dip my knuckle into his orbital bone." 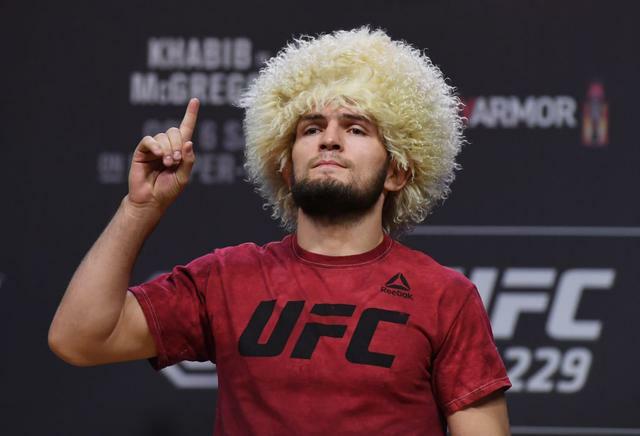 Khabib "The Eagle" Nurmagomedov will face the toughest test of his UFC career tonight in Las Vegas, and the sports books are banking on him to rise to the occasion. Heading into the marquee bout of his life, Khabib is listed as a -160 favorite to retain the belt that he won via decision at UFC 223 back in April. In contrast to McGregor's fighting style, the undefeated Russian loves to take things to the mat where he has shown time and again the ability to maul his opponent into submission. As Khabib noted at the UFC 229 press conference earlier in the week, "Beginning of the first round, I have to be careful with him because he has good timing, good boxing. But my wrestling and my pressure - he has to kill me to stop me. I’m gonna stop this guy, I’m going to finish this guy. This is my plan."